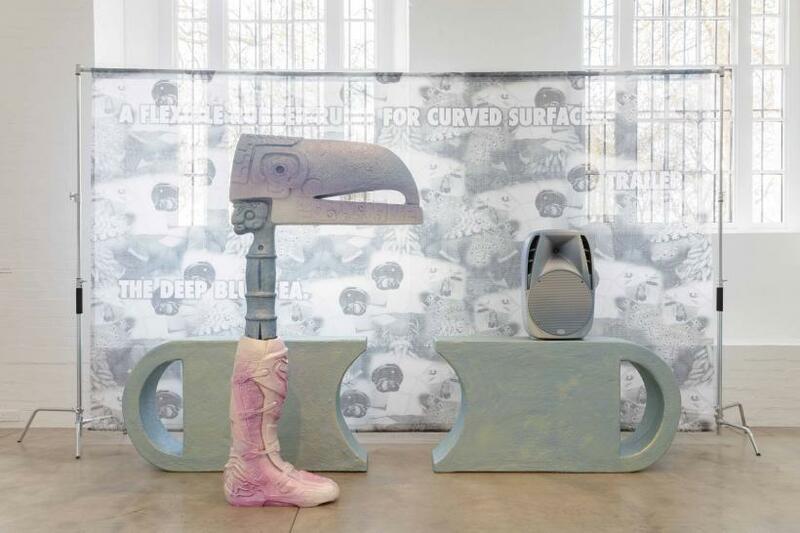 Beijing-based sculptor and video artist Guan Xiao is concerned with how we see and understand the world as a global visual culture, particularly in an age of mass digital image circulation. 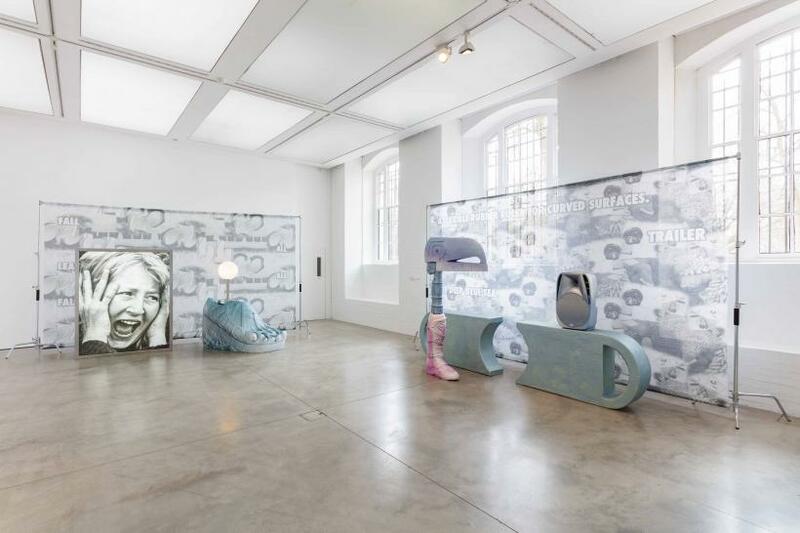 In ‘Flattened Metal’, her first UK exhibition shown currently at the ICA, she presents five new installations and a new video work titled ‘Action’. 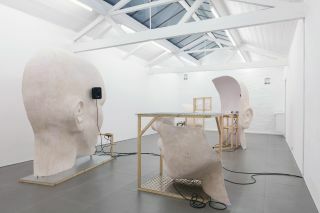 The sculptures combine readymade objects and found images shaped into completely surreal installations. 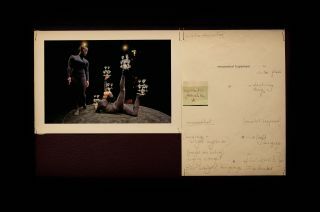 Each work is difficult to pin down, full of complex and conflicting elements that seem to hint at something just out of reach. There is no definitive context or linear time frame in which to place them. For the video piece ‘Action’, Xiao cleverly collates found footage across three screens, so that seemingly random and distinct images suddenly become one. 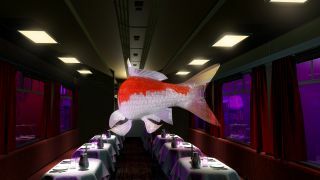 Xiao manipulates sound and visuals, confusing the actions we see happening on screen. Hands clap while feet tap – it is hard to grasp which movement is making the sound. In one moment a film of a cloud is shown together with an image of a boardroom, followed by a blank screen written with the words ‘Everything meets constantly in the frequency of the Universe’. Instruments bleed in to each other and bring disparate shots into one rhythmic harmony. In line with Xiao’s distinct style, each of the installations consists of a strange, contorted sculpture standing before a patterned screen. 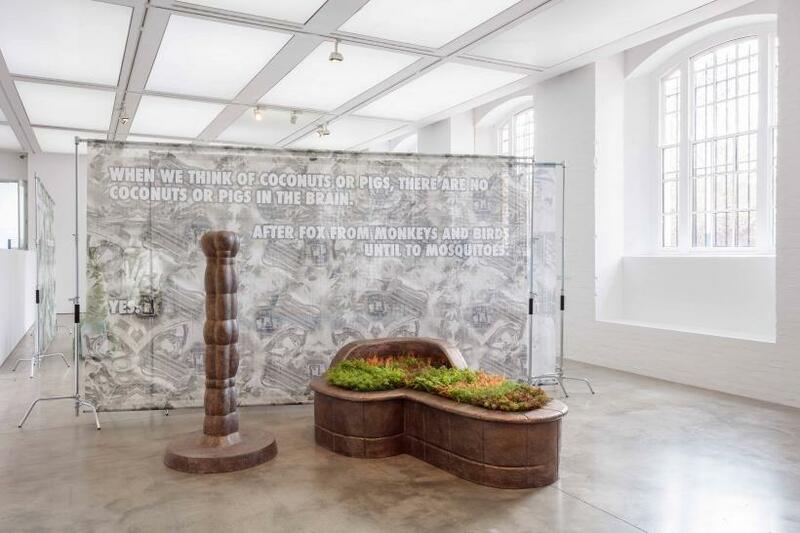 The sculptures are constructed from a jarring juxtaposition of objects, made with historical, high-tech and indistinct elements, with pieces drawing from both ancient relics and internet culture. Their muted neon colours blur with the similarly coloured screen in a surreal meeting point between a sci-fi film set and an archaeological display. 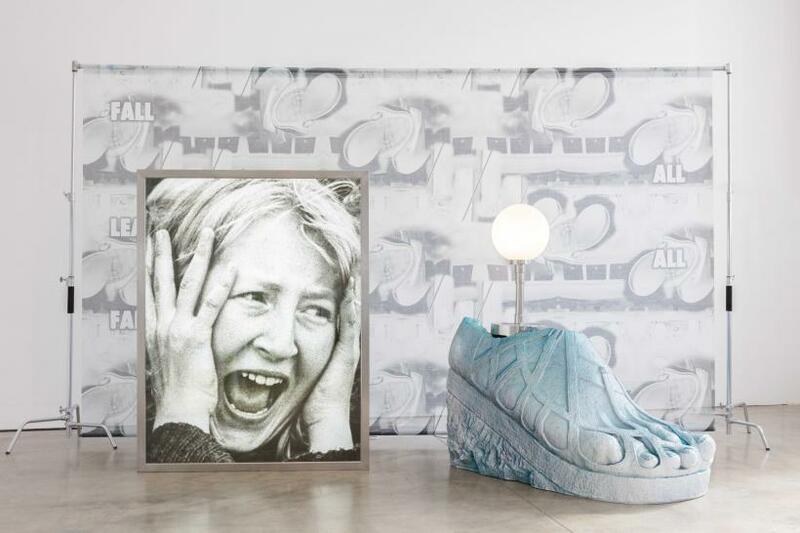 In one piece titled ‘Little Drum’, a stretched photograph of a girl screaming, her hands half concealing her face, is put beside a sculpture of a foot holding a large orb lamp. In ‘Amazon Gold’ a futuristic boot merges into a totem-like bird’s head – an alien creature caught between an imagined past and future. For Xiao, both history and time are unstable. 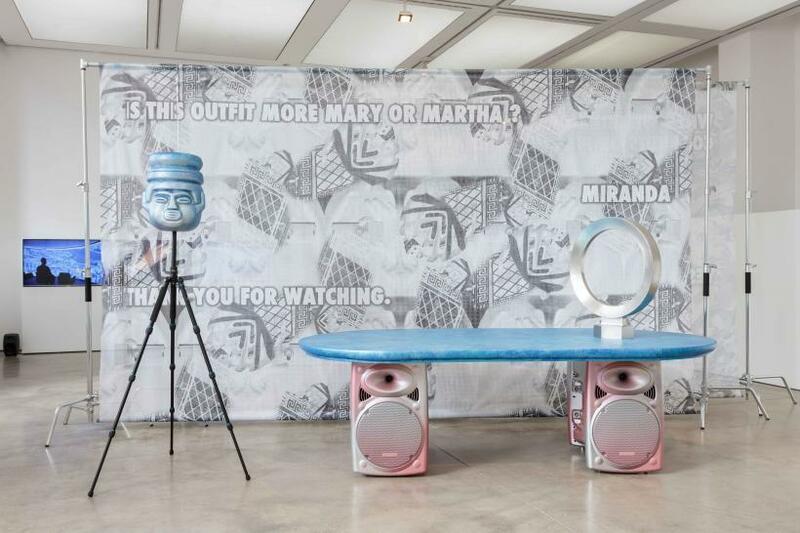 Though she is engaged with artefact, the artist aims to disrupt ideas that are considered universal. She works with the idea that objects, moments and beliefs can be fitted together to create any desired narrative. Her sculptures weave the past and the present so that old and new objects are almost indecipherable and linear time is scrambled. By placing conflicting elements together, she removes their contexts and any meaning we may attach to them. As old and new sit within the frame of each of Xiao’s printed screens, so too do flitting pages of information exist and collapse in the same digital space. 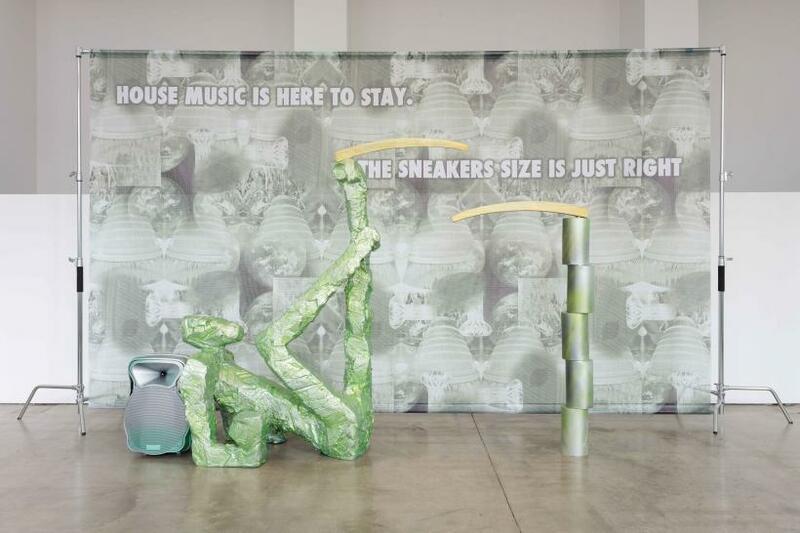 Her weird structures, set against noisy and confusing backdrops, portray and draw from the hyper-imagery of the online world. 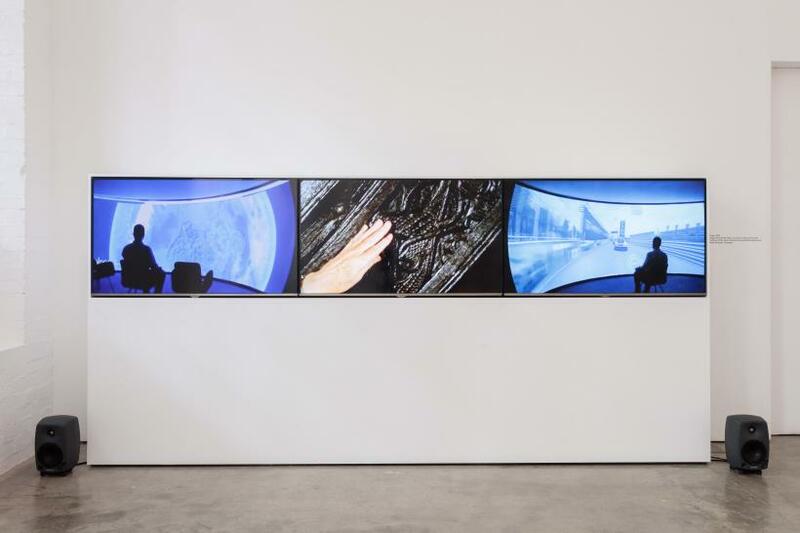 The exhibition title points towards this flattened experience of the world through the televisual or computer screen. The obstacles to knowledge have flattened and everything exists right here on the same plane.